Our L.B. Evans Darren slipper for men is a smart, contemporary look in casual men’s moccasins and an affordable buy in this premium brand. These handsome suede moccasins for men have a sturdy outsole for indoor and outdoor wear. The lightweight, breathable terry cloth lining makes our L.B. 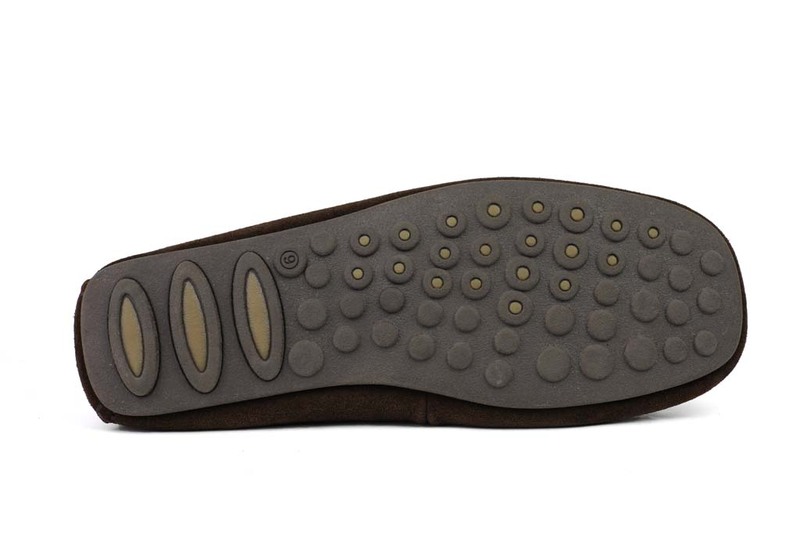 Evans slippers comfortable in summer or winter, and the Memory Foam insole offers everyday comfort. 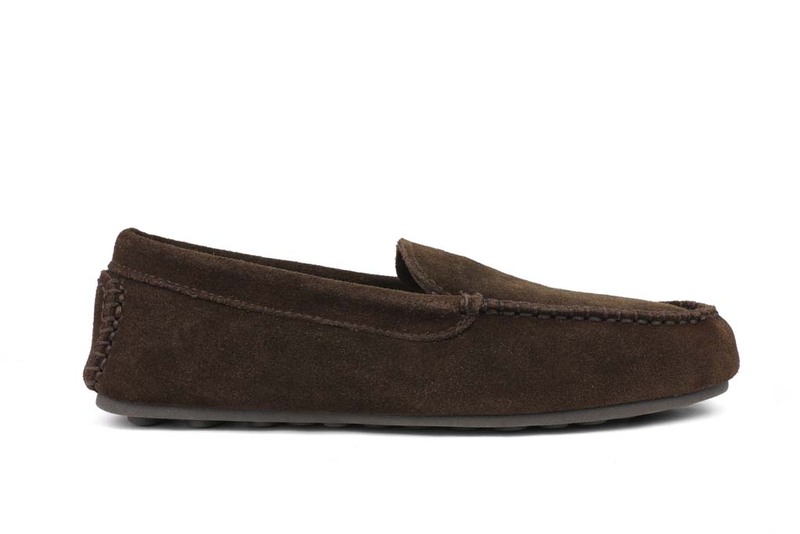 Our contemporary moccasin from L.B. Evans was featured on NBC’s Today Show as a great gift for the holidays. We think they’re the perfect gift for any occasion for men who love a relaxing fit and extra comfortable feel in their casual footwear. Comments: Great service, they came when promised. true to size. love the packaging . Would most definitely order from them again. Comments: Ordered size 12 for big & tall fiance. He says that they're the most comfortable slippers he's ever worn. Comments: Bought these for husband for Christmas. He had previously worn LLBean forever, but is very happy with these. He loves the comfort and support as well as appearance, and especially likes that he can wear them outside to get the paper, etc. Great slippers! "L.B. 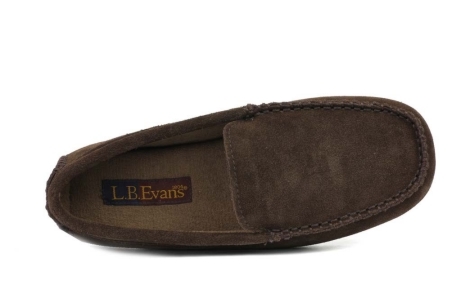 Evans Darren Slipper - Nice mens slipper"
Comments: This is the best slipper I have owned.. Highly recommend. "L.B. Evans Darren Slipper - Color and size"
Comments: Looking for black slippers of same quality and size. Please notify!!!! Comments: This is my second pair and, as the first pair, the bottom liner has detached. Oddly enough, I like the product. If only that one part would last as long as the rest of the slipper. "Excellent product (but sized incorrectly)"
Comments: Great extremely comfortable slippers. But I wear 12E in all footware except for these slippers which I wear in 11 Medium with Dr Scholls GEL inner soles. Comments: I bought these slippers for my husband, who is very hard to please about his shoes of any kind. He loves them. In fact, he wears them all the time around the house. They look nice and have a perfect fit. Very well made. Comments: Great fit,really comfortable. Would buy them again.